In one of our previous posts, we discussed some techniques for the prevention of a mosquito problem in your yard or homestead. Many of them pointed to the same principle: don’t have standing water anywhere in your yard or around your house. In today’s post, we will move beyond simple prevention of the issue, and move into a more well-rounded and integrated approach to mosquito and pest control. 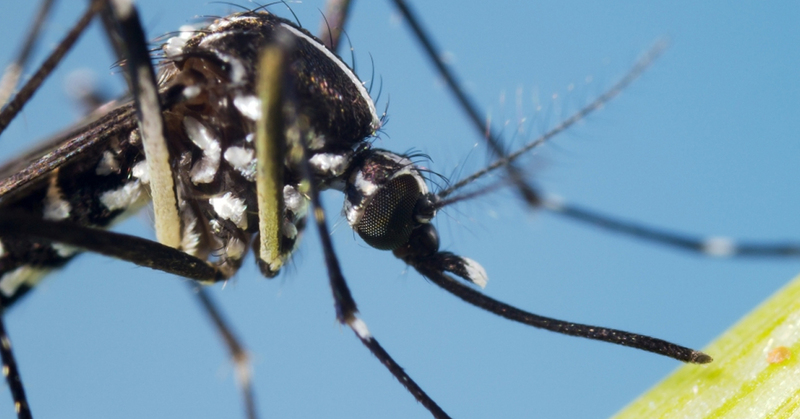 The four aspects of this integrated approach are as follows: removing mosquito habitats, using structural barriers, controlling mosquitoes at the larval stage, and controlling adult mosquitoes. Like we addressed in our previous post, this item is key in within an integrated mosquito control strategy. You simply can’t have any areas in your home or yard that mosquitoes can use to their advantage. Mosquitoes need water for two stages of their life cycle, so it is vital to remove the standing water in rain gutters, buckets, wading pools, and even fountains. For a more thorough look into the details of what to look for, we encourage you to visit our previous post on the matter. Install screens on your door and windows if you haven’t already. Cover up all the gaps in walls, windows, and doors to keep mosquitoes out of your home and away from your loved ones. Double check to make sure the newly installed screens on your windows and doors are tight enough to keep the vermin out. Cover your beds and baby carriers. Hopefully you won’t need to do this because your house is sufficiently sealed, but if you can’t find the source of where the insects are getting in, it might be time to go a bit more old fashioned in your approach. There are three principles to remember when considering mosquito populations and how to eliminate them. They are most vulnerable and accessible when they are concentrated, immobile, and accessible. So when does this happen? When they are hatchlings. Employing mosquito treatment at the larval stage is the most efficient and effective solution. Larvicide treatment is also more environmentally friendly than some alternative methods as it minimizes widespread pesticide application. Contact us at Growing Earth Tree Care for your free estimate. We are Virginia’s top rated local tree care experts! Another aspect of keeping your home safe is one of the most important: adult mosquito control. With viruses like West Nile and Zika becoming more and more of a reality, these pesticides are known as adulticides. These adulticides are typically applied as ultra-low volume sprays, which, as you may have inferred, are dispensed in tiny droplets. Research associated with adulticides is still being conducted, but the progress in the concentration of the droplets (which means less negative environmental impacts) is encouraging. Prevention can be very effective, and DIY or store-bought insect pesticide solutions can be effective to a point, but ultimately for something as serious as disease and your family’s health, you are going to want to get experts on the scene. Having been in the tree preservation industry since 1976, we excel in ensuring the safety of your lawn and trees are intact while we go after the source of the issues. Our certified arborists understand the delicate balance of ecosystems is a very important component in considering how we will go about dealing with your mosquito issues. We utilize safe pest control with the future of your household and yard in mind. If you are having pest control issues, or are interested consulting a certified arborist for a different reason, don’t hesitate to reach out to us today.